.925 Sterling Silver Heart Bead with Scroll Detail. Bead measures approximately 10mm wide and 8mm at the widest point. 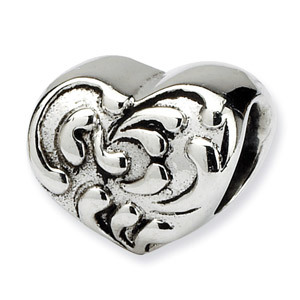 We guarantee our .925 Sterling Silver Scroll Heart Bead to be high quality, authentic bead jewelry, as described above.